Sorting out non-brand bottles and establishing brand purity: the inspection of bottle crates. The HEUFT LX returned crates with empty bottles inspection ensures that non-brand, dirty and damaged bottles and crates do not enter production. The integrated majority detection controls the maximum share of these. 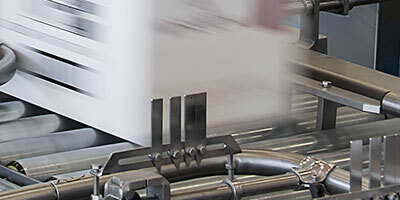 Therefore the HEUFT LX optimises line efficiency and reduces production costs sustainably. Ensuring unpacking suitability and safety: checking the compartments and the handling grips. 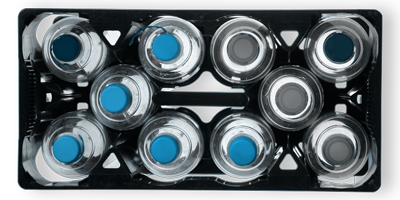 Foreign objects, top-down bottles and faulty handgrip areas: the HEUFT LX finds returned returnable bottle crates with such faults reliably. It checks their complete insides from above using powerful illumination, camera and image processing technology for this. 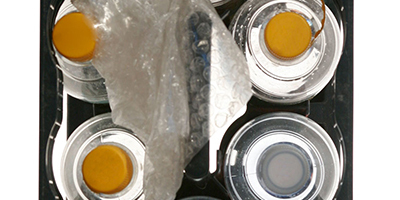 Each individual compartment is examined so that crates containing lying containers, top-down bottles or foreign objects are clearly identified and specifically rejected. This ensures the unpacking suitability of the crate. The detection of missing or broken handling grips prevents the risk of injuries. Thus the HEUFT LX upholds the efficiency of the complete line as well as product safety. Finding non-brand bottles: identifying mixed up crates. 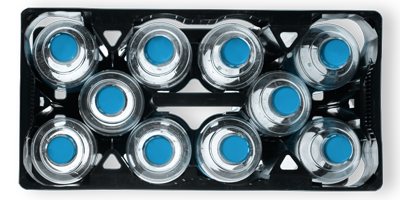 Correct brand, safe and efficient: the HEUFT LX identifies mixed up crates and therefore protects against standstills, bottlenecks and productivity losses. Special optics detect neck rings, closures and lid logos. 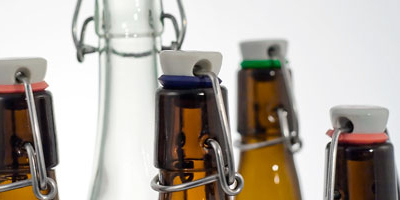 The returned crates with empty bottles inspector even differentiates between different types of swing top bottles reliably – regardless of whether their closures are open or still positioned on the bottle. 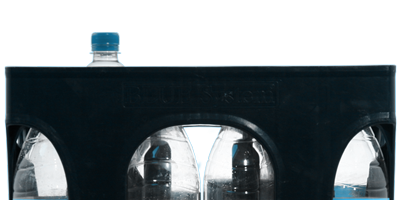 It finds incorrectly coloured bottles with a homogeneous illumination from below and powerful camera technology. X-ray technology is used for a clear differentiation between glass and PET. 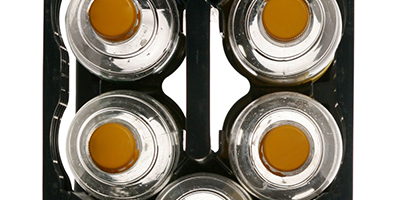 The image processing system determines the number of non-brand containers and decides whether the crate should be rejected on the basis of individually adjustable parameters. This prevents too many non-brand bottles entering the line and only being removed by the empty bottle sorting unit or the empty bottle inspector. Always at the correct height: profile measurement. Distorted compartments, foreign objects under the bottle, broken or deformed containers: different factors result in deviating height proportions in the crate. The HEUFT LX records them by means of an ingenious sensor system. 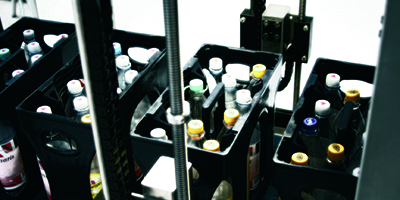 The detection unit can examine different returned crates with empty bottles continuously. It is so flexible in the course of this that it does not have to be readjusted each time for brand and program changes. Identifying distorted crates reliably: checking the crate geometry. 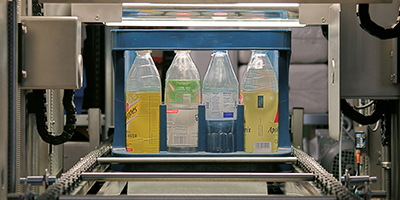 Non-brand, faulty and distorted: the HEUFT LX sorts out bottle crates reliably which are not suitable for reuse because they do not belong to the current production program or cannot be unpacked. It determines the length of the diagonals of the crate and uncovers deviations to the target geometry for this. Length, width and height are checked at the same time and compared to stored reference values. The bottle crate in question is rejected before it can enter the line if they differ considerably from the ideal dimensions. Showing their colours: checking the brand affiliation. Detecting, comparing and keeping apart: the ever-increasing diversity of brands also affects the outer packaging. Colour and design are an important distinguishing criterion at the Point of Sale (POS). 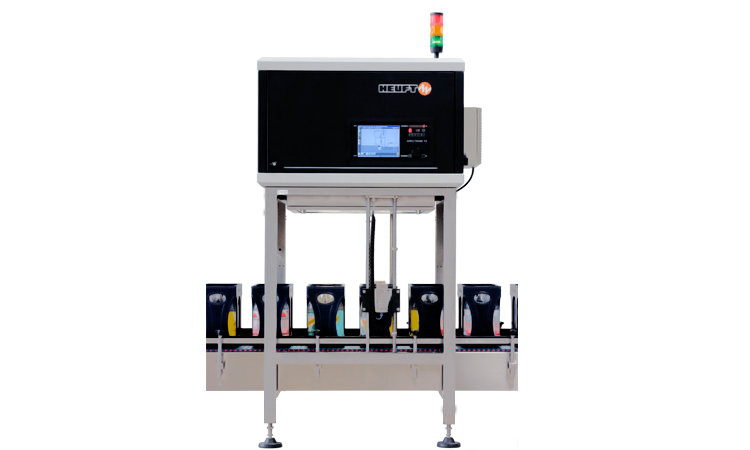 The HEUFT LX checks the colouration of the crate colour and logos in order to make sure that the correct bottles are in the correct crate. It photographs the relevant area using a special colour camera. The HEUFT reflexx image processing system evaluates the photograph and compares it in real time with the stored reference sample. The result: a homogeneous supply of the appropriate empty crates. Calculating the total probability: analysis by means of fuzzy logic. Combining, comparing and judging: different measuring procedures only produce an optimal result when they are linked with each other. After all not all the crates should be sorted out. Even those with inconclusive, borderline properties can indeed be the correct ones. That is why the fuzzy logic calculates the probability of the individual values determined with regard to brand affiliation and combines them via a complex algorithm into the total probability. Therefore empty crates of the correct brand with negligible deviations do not have to be sorted out. 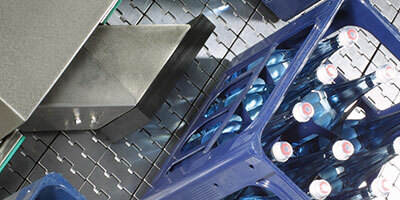 This has a positive effect on the efficiency and productivity of the complete line for returnables. Fast, careful and accurate: highest precision when detecting faults is only effective if the products in question are also removed afterwards. 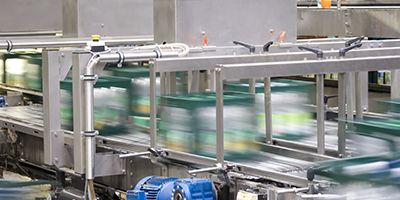 The device either emits a conveyor stop signal or activates the corresponding rejection system, such as the HEUFT xcase, in order to remove incomplete crates from the production flow. Reliable, uncomplicated and easy: the HEUFT LX carries out brand changes without manual intervention. All the parameters are adapted automatically and the height and position of the detection units adjusted by motor. Misadjustments are practically ruled out. This save valuable time and money.